After receiving overwhelming response to two wings of SDPL Paradise scheme, SDPL is now launching Wing C of the scheme on auspicious occasion of Gudhi Padwa. The scheme is located in the fast emerging areas of the city. A mini township spread over an area of 3 acres boasts of the features that define the modern day life style and is first of its kind in Dabha. SDPL is coming up with exclusive offers especially for Gudipadwa. One my book a flat in Wing c by paying only Rs 5 lalk and balance payment after possession. No need to pay pre EMI also. 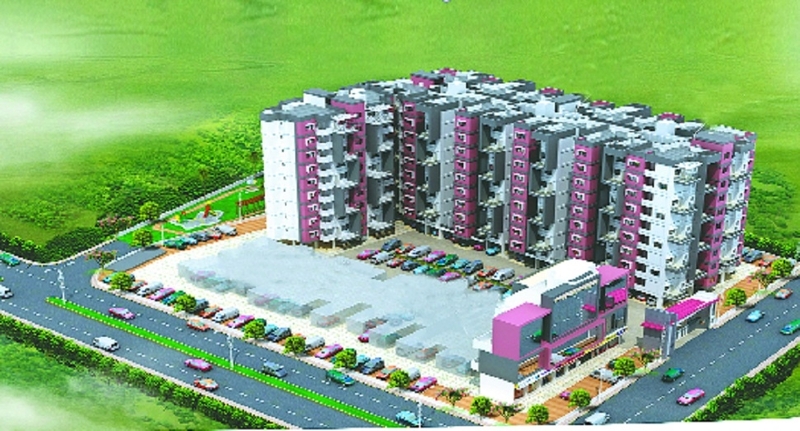 The project is registered in MAHARERA vide number P50500006021. All flats will come with standard SDPL specifications.This offer is valid only till April 7 or for first 7 flats only. For more details call on 9823264348 SDPL Paradise is single gated township with vast open spaces and a community area with amenities including club house of 4,500 square feet, party hall, well equipped gymnasium, swimming pool with changing rooms, 2 guest rooms with attached toilet and living room, children’s play area with sand pits, slides, swing etc. and landscaped garden space of 15,500 square feet. SDPL Paradise is only10 min drive from Dharampeth. It is close to DPS, Centre Point, Sandipani and Chanda Devi Saraf schools. Leading banks, market and daily commutation facilities are also in close proximity. SDPL Paradise A & B wing is ready for possession. People have already started living in A and B wings. Only few ready possession flats available in A and B wings . SDPL Paradise C wing is having 2 & 4 BHK flats starting from 1175 square feet.